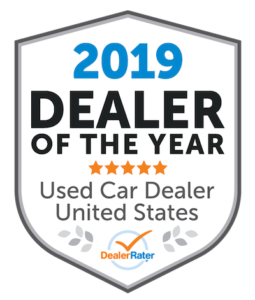 Off Lease Only, the nation’s largest volume independent used car dealer, is pleased to announce that its Miami location has been named the 2019 DealerRater Used Car Dealer of the Year. The award, announced Jan. 25 during the National Automobile Dealers Association annual convention in San Francisco, recognizes the best used car dealership in the nation that delivers the highest quality of customer service based on consumer reviews written on DealerRater. 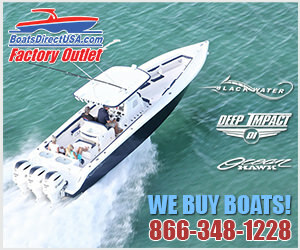 Off Lease Only’s Miami location was evaluated by buyers based on customer service, quality of work, friendliness, pricing and overall experience. 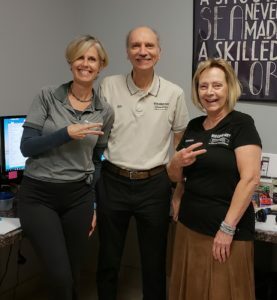 During 2018, Off Lease Only’s Miami store received more than 3,300 positive reviews on DealerRater and only seven negative reviews. Approximately 36,000 dealerships compete nationwide to win this prestigious award. DealerRater’s Oldershaw said that as car buyers became more technologically savvy, online reviews play a larger role in their car buying decision making. In addition to providing outstanding customer service, Off Lease Only’s Miami location also had great success on the sales side, selling more than 10,525 used cars, vans and trucks in 2018. 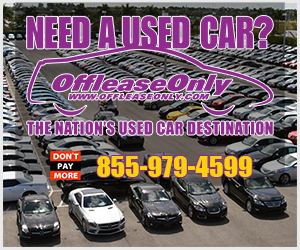 Off Lease Only, the Nation’s Used Car Destination, is based in Florida with locations in the West Palm Beach area, Fort Lauderdale area and Orlando as well as Miami. 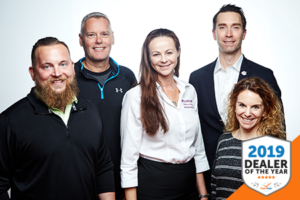 With a focus on customer satisfaction, Off Lease Only has an A+ rating from the Better Business Bureau and prides itself on transparency, offering a free five-day / 500-mile exchange policy and no hidden fees. To find out more about Off Lease Only, visit www.offleaseonly.com. Want to check out an OffLeaseOnly Location nearest you? Simply click the image below for driving directions and to experience the best used car, truck, suv and van buying experience of your life! ← Previous Story Off Lease Only Debuts at South Florida Fair With Five Vehicles on Display! Next Story → Join the Off Lease Only Team at Cars & Coffee Palm Beach This Sunday!